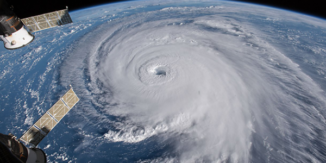 Just days after Florence slammed into the North Carolina coast, the monstrous storm’s havoc continues to spread across much of the eastern United States. With a toll of more than 30 lives lost and floodwaters rising, it will take months to assess the brunt of its impact. Hurricane victims include Machinists Union members and they need help now in the recovery process. 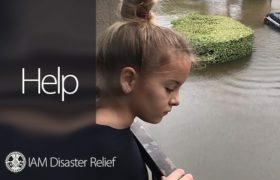 You can help your Brothers and Sisters by donating to the IAM Disaster Relief Fund today. If you are an IAM member affected by the storm, you can apply for assistance from the IAM Disaster Relief Fund here. IAM141 President Mike Klemm presented a check for $250,000 to the IAM Disaster Relief Fund, the largest single donation in the history of the program. The District Lodge 141 Executive Board made and approved the motion to donate $250,000 to the IAM Disaster Relief Fund. The record-shattering contribution was announced on the opening day of the IAM141 Chairman’s Conference in Las Vegas, Nevada. The historic donation was raised in order to address ongoing and massive flooding and storm damage caused by Hurricanes Harvey in East Texas, Irma in Florida and Maria in Puerto Rico. As we continue to disperse disaster relief checks each week for those affected in Texas, Florida and the surrounding areas due to Harvey and Irma, we would like to take a moment to update everyone on the status of assisting our Sisters and Brothers affected by Maria in Puerto Rico and the Caribbean. We have thankfully been able to reach one of our IAM Reps in Puerto Rico, and have been evaluating all possible means of assistance for our Sisters and Brothers. Over the past week, we all watched in horror as Hurricane Irma grew into a category 5 storm and made its destructive way through the U.S. Virgin Islands, Puerto Rico and Florida, leaving behind a trail of debris and devastation. Irma’s destruction comes on the heels of Hurricane Harvey, which has left much of Houston and the Texas/Louisiana Gulf Coast in peril. These regions are home to tens of thousands of our Machinist family, and they need our help.